How long has Neon-Lights.org been offering Neon Lights on the Internet? Neon-Lights.org has been offering beer signs through the Internet since 2016. What is the Neon-Lights.org network? The network consists of selected, independent, neon beer sign dealers located across the USA. All have a enthusiasm for neon. The purpose is to satisfy the varied demand for specific brands and models of Neon Lights that people want to use for decorations in their homes. Some dealers are full time breweriania businesses while others are part-time. Neon-Lights.org is always looking for new dealers. To become a dealer you must have your own sources for the signs. E-mail us directly if you are interested at sales@Neon-Lights.org. Yes, the signs offered by Neon-Lights.org and its dealer network are the exact commercial models seen in the stores. Neon-Lights.org dealer network at any one time have hundreds of signs in stock. However, not all of the brands and models of signs are available at the same time. Does Neon-Lights.org have a showroom where I can view these signs? What is the difference between Black Backing, Metal Frame and Clear Backing? Please click here to see the difference between Black Backing, Metal Frame and Clear Backing. 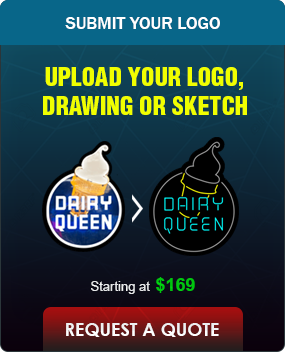 The prices shown are for reference. Neon Lights vary in market values in different parts of the country. 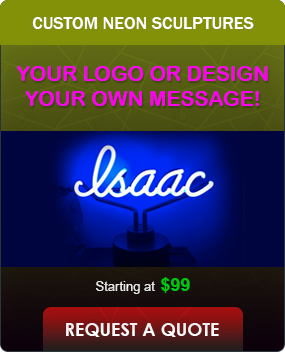 Generally, a neon sign's estimated value is determined by the estimated cost to produce it and the availability. The more neon a sign has, the costlier to manufacture. Some signs are made in very small production runs, which makes them rarer. Other neon signs are regional (such as specific sports teams) and were originally available only in selected, local, areas. Certain signs catch the imagination of neon enthusiasts and are very much in demand. Generally, an artistic, neon sign with lots of colors is worth more than a single color 'word' sign with no art. The prices shown either represent a sign's actual selling price previously, OR an estimated price based on certain criteria. 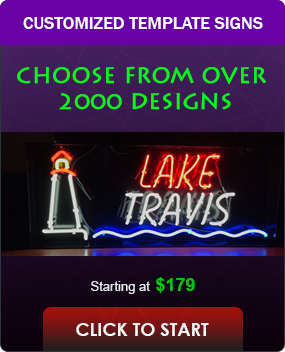 If a sign seems more expensive than other, similar, signs with the same amount of neon, chances are that sign is simply more popular, or in shorter supply. When the estimated packing, shipping and sales costs are added to a price of a sign, the total amount is listed at the web site for the sign. Actual prices will be offered from the dealers in responses to inquiries and may vary. Yes. Generally, local laws cover commercial neon installations and Neon Lights that are visible from the street. These signs can be used as portable, indoor, lighting displays for decorative purposes. Neon-Lights.org and its dealer network do not offer wholesale quantities for resale. However, a dealer will usually offer a discount if two or more signs are ordered together. 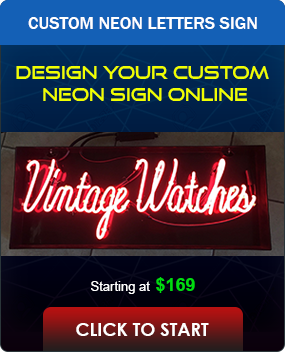 Yes, Neon-Lights.org and its dealers are always looking for signs that our customers request. E-mail us directly at sales@Neon-Lights.org. Do not use the on-line inquiry form for this purpose. Neon-Lights.org and the independent dealers on its network are not affiliated with any brewery.